Decisions are hard. All of them. Should I go back to school? Should I think about changing careers? 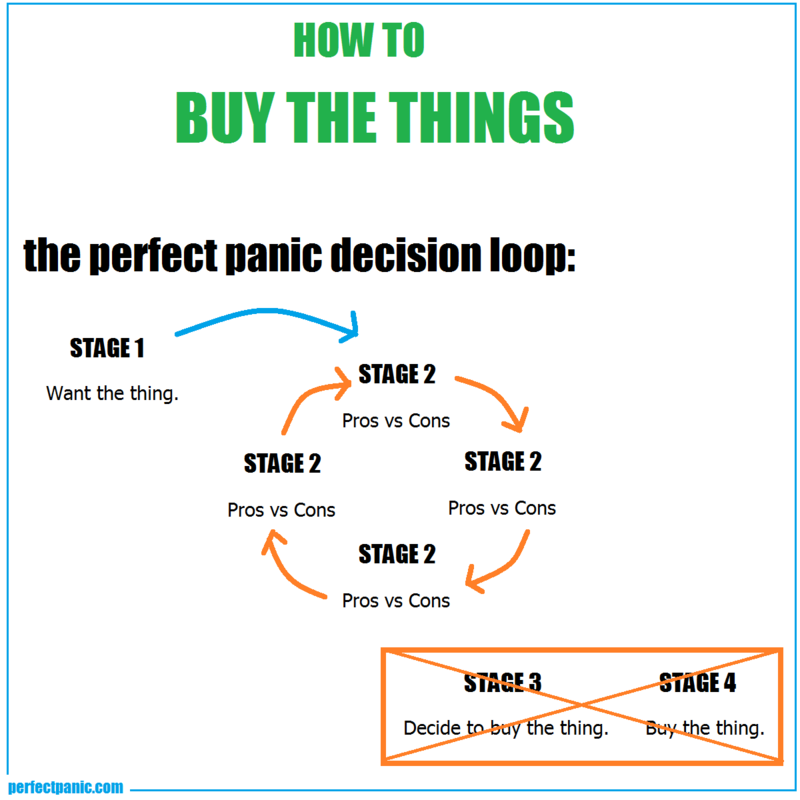 I have a special place in my heart for decisions that have to do with me spending any amount of money – a corner shared by activities like “asking for help from a sales clerk” and “actually going inside a bank instead of using an ATM.” Recently, I made a fairly large purchase and had the opportunity to examine the process I go through when deciding to spend money. You’ll note that steps 3 and 4 are ignored completely. That’s because I’m stuck in the tumble dryer that is Step 2. I tend to be convinced that every decision will determine whether I am a mature adult with money in the bank or just some penniless fool who is a slave to short term consumer desires. But there are times where the clouds seem to part, and some miracle allows me to take a deep breath and Decide to Buy the Thing. 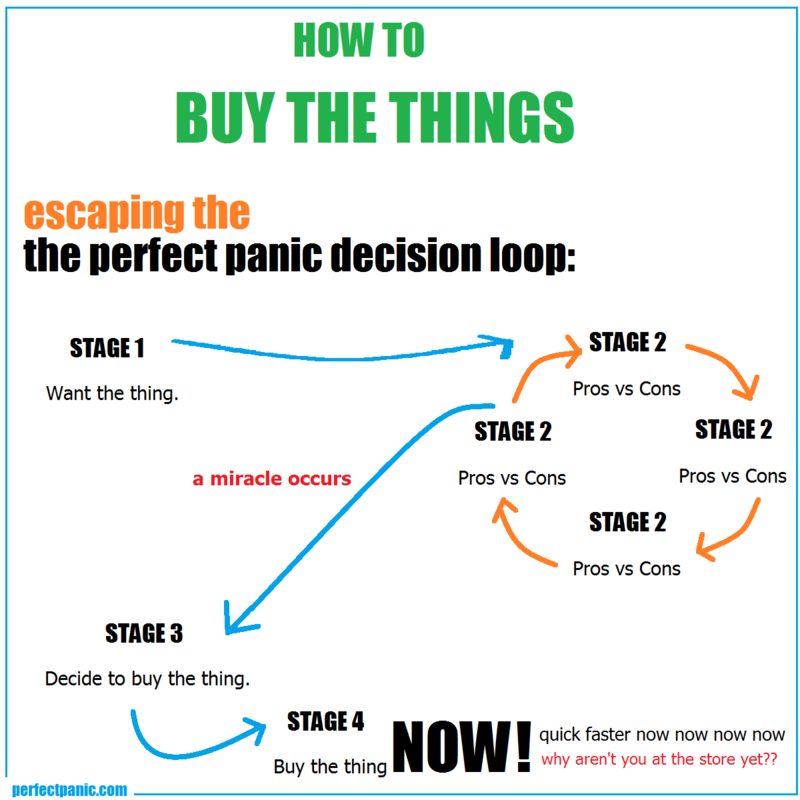 In those cases, I have to act quickly or risk getting pulled back into the loop. 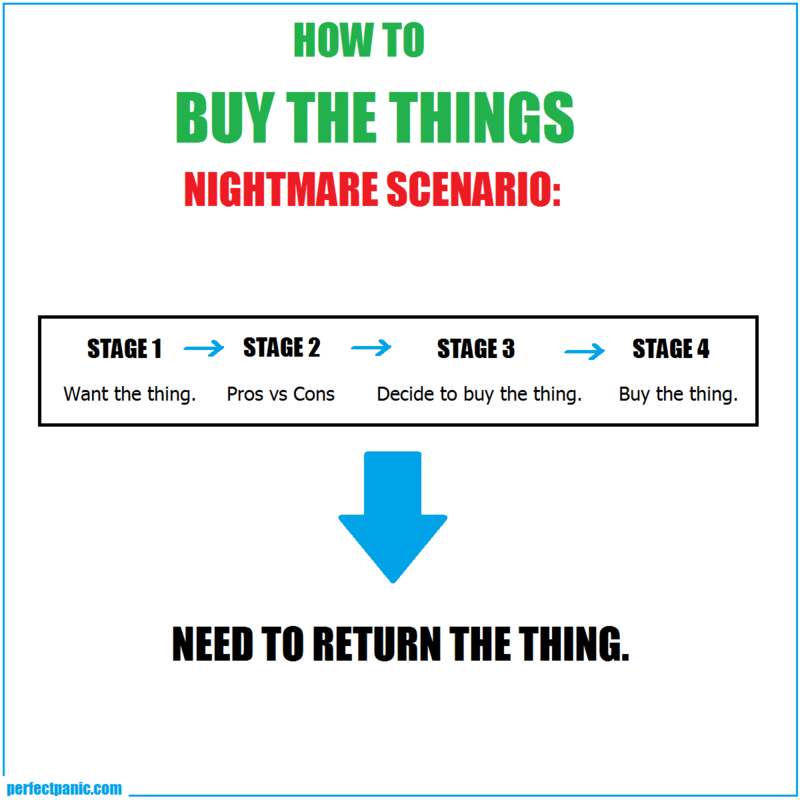 But it’s the thought of this next scenario that usually keeps me spinning in Stage 2. So, the next time you’re in the grocery store and see someone picking a tub of margarine out of the cooler, putting it in their cart, walking a few steps, stopping, backing up, putting the margarine back in the cooler, walking a few steps, stopping, looking back at the margarine… it might be me. What a funny post! Great job again, Shanna. It may be worth noting, though, that your first infographic may not be the “normal” person – because that is more of a “see the commercial – buy the thing” process – but rather the “wise” person. If you can get yourself out of the step-two-tumble-dryer, I think you would be a wise consumer! Thanks, Danielle! You make a good point. 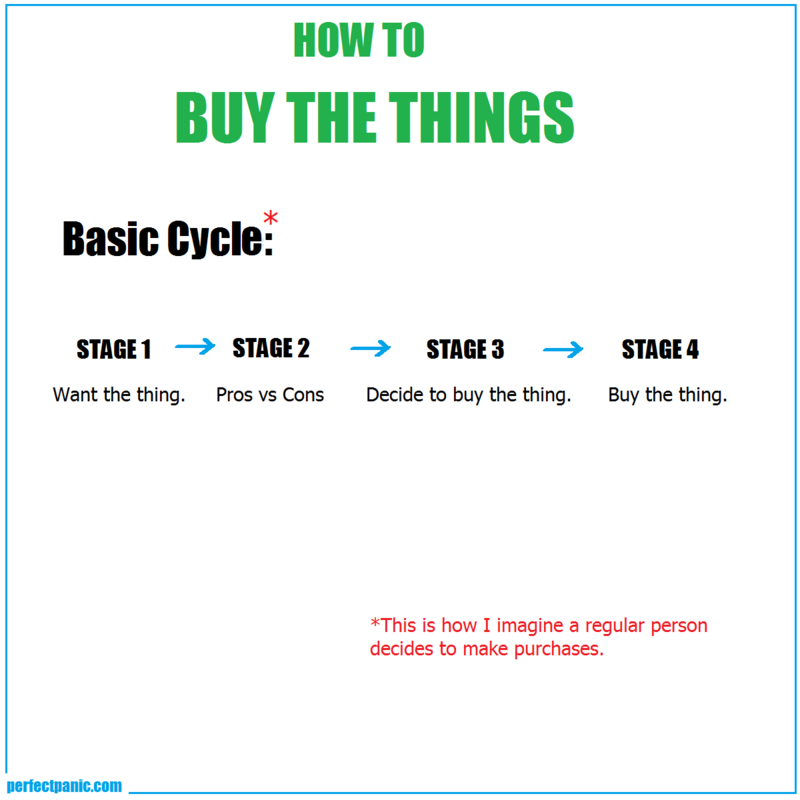 The idea of a “see the commercial – buy the thing” process makes me want to cry a little, though. I guess a part of me knows that sort of thing happens, but I can’t wrap my mind around how the world can still function in that kind of chaos… The system is broken.